As the story goes, the name and distinct flavor of IPA—or India Pale Ale—date back to the 1700s when British brewers made beer with extra hops and higher alcohol levels to survive the long boat ride to India. In recent years, this particular style of beer has taken the craft brew scene by storm. This Saturday, downtown Tucson's Armory Park will be transformed into an IPA-lovers' paradise at the 2019 Baja Beer Festival. 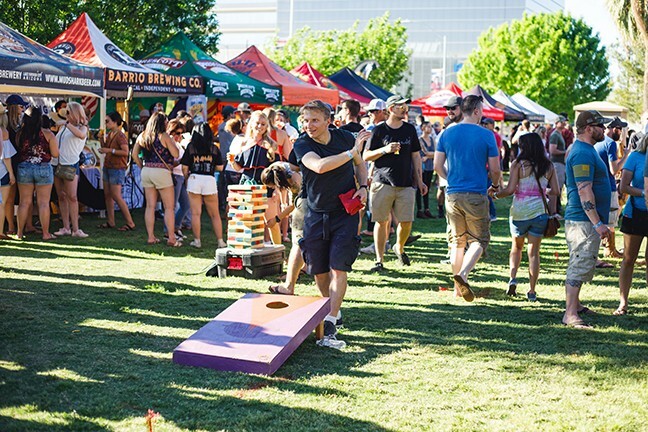 Attendees can sample beer from over 30 Arizona breweries, partake in the annual IPA competition and enjoy food perfectly prepared to accompany their beer of choice. 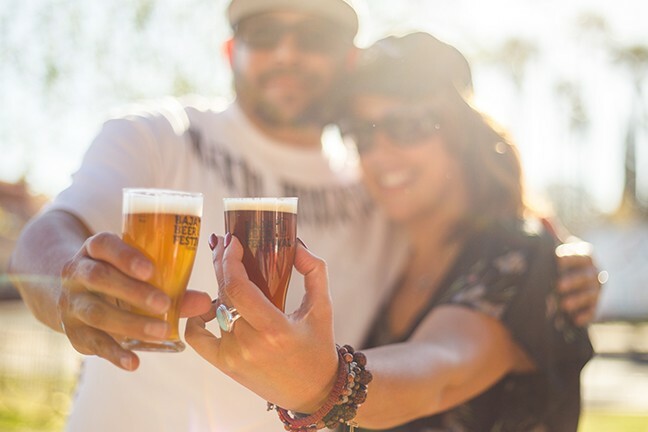 The festival, hosted by the Arizona Craft Brewers Guild, presents an opportunity to try craft beer from all over the state all in one place. Breweries from Flagstaff, Sonoita, Phoenix and even two guest breweries from Mexico will be sharing their creations with the crowd. Local brewery Ten55 won a gold medal last year for their Ten55 IPA, a classic brew made with all American hops. "It was very encouraging to see two professional judges agree with us that our beer is good," said Ten55 Managing Partner John Paul Vyborny. "We are very proud that our first entry got us a gold medal." The Arizona Craft Brewers Guild includes almost 100 independent breweries across the state, with 21 in Tucson. Proceeds from the event will go back to the guild to help promote Arizona breweries. Get your brew on this weekend. "Brewers and people come from all over the state, so Tucson should be so proud to have this great IPA competition carved out for us," Vyborny said, "and most craft beer fans are big IPA fans, so we are proud and looking forward to sharing our IPAs." This year Ten55 is entering two original IPAs in the competition. The Sonoran Squeeze, made in collaboration with the Arizona Sonora Desert Museum, is made with New Zealand hops, which gives the IPA lime flavor notes. Ten55 is also bringing their Nelson IPA, named after the Nelson Sauvin hops used to brew it. Along with Amarillo hops, the combination gives this beer a citrusy white grape flavor, according to Vyborny. Six judges, organized by the Tucson Home Brewers Club, will decide the fate of the brews this year, ranking them as gold, silver and bronze medalists. Out of all the categories, one beer will be named best in show of the whole festival. Three of the six judges are certified judges who have passed the Beer Judge Certification Program and are established home brewers. "They are able to detect flaws and share common ways to eliminate those," said contest director and nationally ranked beer judge Jon Hasbrouck. Hasbrouck explained that in the initial judging rounds, the beer is tested on taste but more importantly on how accurately it represents the style of beer, in this case IPA. The judges then give candid feedback on ways the brewers can improve. The beer is also subcategorized within the style of IPA, including varieties like the West Coast IPA and the New England IPA. Once the technically-best beer from each category is selected, the judges then vote based on taste. Hasbrouck explained the judges pick the sample that makes them say, "By golly, this is the best made beer here! "Festival attendees will have the chance to sample 20 four-ounce samples included in their ticket. Live music and lawn games will transform Armory Park into the type of afternoon-absorbing beer garden Tucsonans know and love. 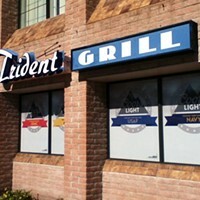 While beer will be at the forefront of the festivities, the food will be something to celebrate as well. The festival partnered with the Gastronomic Union of Tucson, or GUT, to create some beer-specific food options. "We got away from food trucks," said Arizona Craft Brewers Guild Executive Director Rob Fullmer. "The food that we have at this festival is far above what I've seen at other festivals." 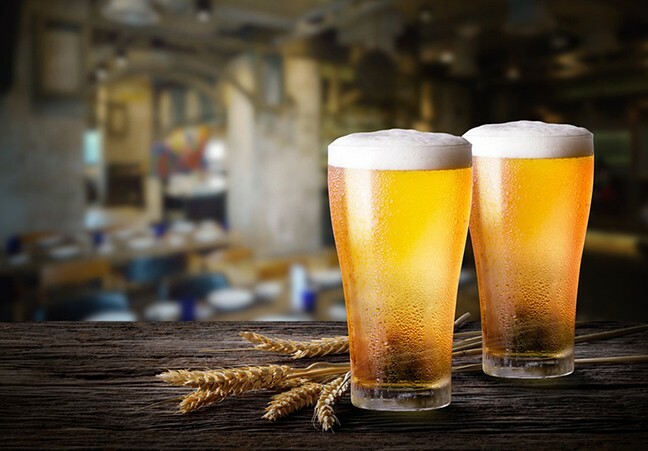 Many of the local chefs are using beer in their recipes and have been working to prepare food and beer pairings leading up to the festival. As much fun as a beer festival is for the attendees, it is an important event for local brewers. Ten55 has been preparing for the festival for more than two months and will have fresh-brewed beer for Saturday. "These two beers take about three weeks each to be ready and we can't brew them at the same time, so the Nelson came out last Friday and the Sonoran Squeeze will be done this Thursday," Vyborny said. Competing with their peers from across the state inspires brewers to put their best pint forward. "It gives brewers a chance to network and try each other's beers, eat some great food and spend some time in Tucson," Fullmer said. Networking and sharing tips is important in the craft brew industry, as brewers of all levels continuously experiment to make the best beer possible. "The commercial brewers are really generous with what they are willing to share," Hasbrouck said, "especially with home brewers because a lot of them have been here." Many of Tucson's now-established breweries started as a few friends making beer at home. "There were only a handful of breweries in Tucson even only five years ago with Dragoon being the new player," Fullmer said. 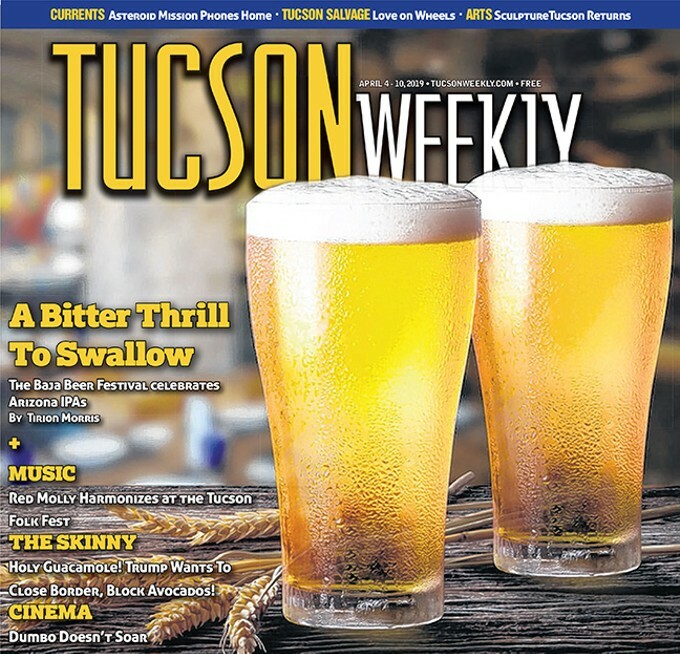 "Now there are 21 in Tucson and people probably overlook a handful of breweries that are in their own neighborhood." Events like Baja Beer Festival work to promote Arizona beer and as more people try it, the more it grows in popularity, one of the main goals of the Arizona Craft Brewers Guild. "We are fighting the battle to get Arizona beer on shelves, and this is not only for beer but for wine and spirits as well." Fullmer said. "We want to make Arizona products something that people recognize and ask for." So do you have to be a beer expert to enjoy the IPA competition? Absolutely not, Hasbrouck explained. "For the festival, seek out new styles, gravitate to what you like and then try as many as you can."